With Readly you can read Westfalia Special Edition and thousands of other magazines on your tablet and smartphone. Get access to all with just one subscription. New releases and back issues – all included. 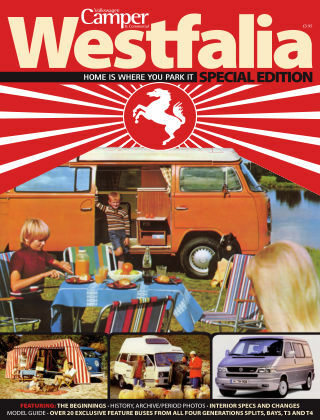 Collectors Edition - Westfalia Special. This special edition magazine documents and celebrates this highly admired VW Camper with 22 original condition buses fully featured and covering all generations from 1953 to the end of the T4 in 2003.